Just stopping in to say, "Hi!" I come here every day, and it seems I'm the only one. Anyone else? I miss the chats and the giveaways, and hope everyone is doing ok.
AWWwww....No, you're not the only one. Hi sunrae! Good to see you. i am trying to sell the site to someone who really will apreciate it but its hard to find someone. i have definately been slacking and appreciate all of the members who have/are sticking aorund and faithful. you gus are definately like extended family!! Hi all!!!! Miss all of you!!!!! I check in often and see what is going on. I also miss the chitchat and reviews/giveaways. One good thing is facebook......I get to see Laura's and flame's posting. Great way to stay in touch with everyone! Laura, Kenzie is absolutely adorable!!!!!!!! She is absolutely beautiful!!! So precious! Look at that beautiful baby! She looks just like her mama. Wow, she's on a mighty big pony, there! Thank you so much, Laura for sharing these. Kenzie really has grown so much, and so much fun now, I see. Thanks for the smiles. I too miss everyone. Miss getting to share all that is going on with each other. Been planning daughter's wedding at that keeps me pretty busy. Well, that's exciting, Cin! That sure will keep you busy. When's the big day for your daughter? Oct. 20th! Wow, that's getting close, Cin! How exciting! Best wishes to all! Congrats Cin....Oct. 20th will be here before you know it.... Such an exciting time!!!!!!! yes kenzie is getting big and talkative too! cin im sure that is going to be proud day for you! everything will turn out perfect! I know I haven't gotten to know all of you ladies that well, but I used to really enjoy coming here reading posts and entering giveaways. I have recently been contacting companies for reviews and/or giveaways and have a few that have agreed to participate. Just waiting for things to come in the mail now. 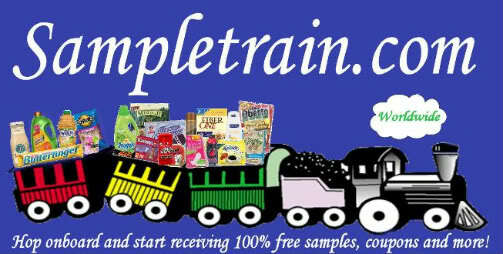 Really wish Sampletrain would get back active again. I think if we could get more reviews/giveaways, we could get more members and regular visitors. Anyone else here working on getting more active with reviews/giveaways? Hi, That's nice of you to try to get this going again. This is a great site. I, too, wish more would visit. I'm terrible at what you do, but appreciate the hard work, time, and effort you and others put in to it.